They include 2014 World Championship silver medallists, Lisa Whiteside and Sandy Ryan who will compete at flyweight and lightweight respectively. GB Boxing’s female contingent is completed by Sheffield’s Natasha Gale who will be defending the middleweight crown she won last year. Watch a promo featuring GB’s top seeds. The men’s competition will include GB Boxing’s exciting super-heavyweight, Daniel Dubois, who will be competing in the National Finals for the first time and hoping to follow in the footsteps of previous winners. Anthony Joshua won the super-heavyweight crown in 2010 and 2011 before going on to secure Olympic gold in London in 2012. Joe Joyce won the championship in 2012 and 2014 and is now set to represent Team GB at Rio 2016. The other members of the Podium squad joining Dubois are light-flyweight, Sunny Edwards, welterweight, Ekow Essuman, and bantamweight, Peter McGrail, who will be hoping to go one better than last year’s second place. Landing a first national title would cap a superb year for the Everton Red Triangle boxer that has seen him fast-tracked into GB Boxing’s Podium Squad where he now trains four days per week at the English Institute of Sport (EIS) in Sheffield. He has also competed for the British Lionhearts in the World Series of Boxing (WSB) and comes into the National Finals in good form after a sparkling performance in the team’s quarter-final victory over the Ukraine Otamans when he totally outclassed Vladyslav Vyetoshkin over five rounds at York Hall. A fill list of the 115 competitors in this year’s National Finals is here: http://www.abae.co.uk/aba/index.cfm/news/elite-championships-2016-quarter-finalists-and-weigh-in-times/. 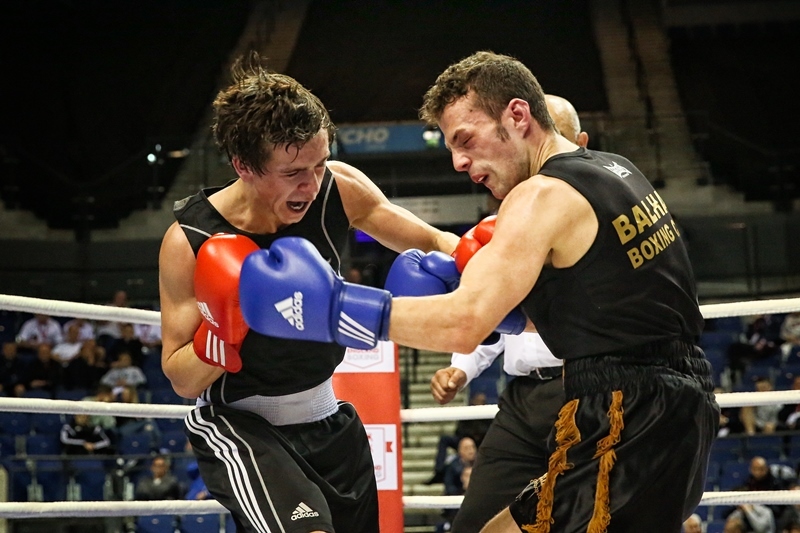 England Boxing board member and Chair of the Technical Rules and Championships Sub-Committee, Giorgio Brugnoli, said: “The finals weekend of the Elite National Championships is one of the highlights of the boxing calendar. It is steeped in history and an opportunity for boxers to make a name for themselves and show they are the best at their weight in England. On Friday 29 April, the quarter-final bouts will be held from 12.00 noon onwards with two rings in the Arena. On Saturday 30 April, there will be one ring in the Arena for the semi-finals, which will run from 12.00 noon. The finals on Sunday 1 May will start at 2.00pm. Tickets are on sale now for the England Boxing Elite National Championships 2016 and can be purchased in advance by calling the Echo Arena Box Office on 0844 8000 400 or online at http://www.echoarena.com/englandboxing. Weekend passes for all three days are priced £39 and £28 concessions (including booking fees). Individual day tickets start at £11.50 (£6.50 concs) including booking fees.